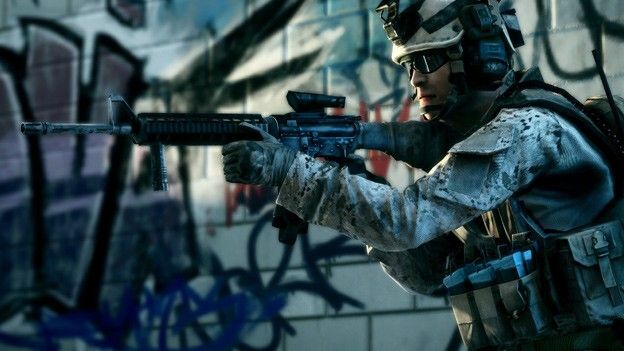 Battlefield 3 in 3D Review – Complete Delight For PC Gamers ! Gaming innovation industry is all set to change the dimensions of 3D gaming. Battlefield 3 is now available with added 3D features; let us have a glimpse of report card of it. Where companies like Microsoft, Sony and Nintendo are busy creating innovation for next generation consoles and software, PC gamer’s community already has given birth to new breed by accessing technology, specifications and features that would blow PlayStation. However, it would sound like creating self hype for our self and hence it is better if you try to realise the potential of your PC as you might never have used it completely. Perfect example of it is the Dice and NVIDIA which works on Battlefield 3 in 3D. Just opposite to the approach of EA, Dice has opted to go back to the paradigm of PC as the development platform. 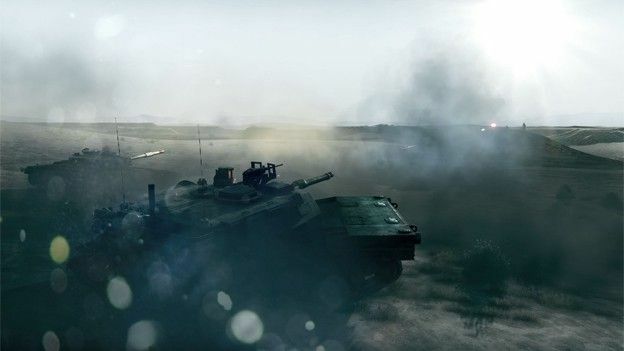 You might have played Battlefield 3 on various consoles, but frankly speaking you might not have received the experience that you will get by playing Battlefield 3 on PC. Passionate gamers are curiously waiting for the NVIDIA and Dice to have a fully working stereoscopic patch to provide you the competent platform to play in third dimension using NVIDIA sublime and with bigger 3D vision 2 glasses. It is not at all recommended to spend on a new PC to run the Battlefield 3 in 3D; you can go with the NVIDIA’s new 3D Vision 2 kit which is relatively cheaper at £140 for pair of glasses and an IR receiver. The good thing is that, in this affordable price you will get bigger glasses with more comfort and it also blocks the ambient light from background. In terms of display, the new approach makes use of 27 inches Asus VG278H with HD LED display and refresh rate of 120 Hz which might cost you £565. The good thing here is the 3D HDMI 1.4 input and a dual link DVI input. The NVIDIA white box system with 6 GB along with Intel flagship core i7 couple with GeForce GTX 580 cards is being hooked up in the SLI mode to produce the better 3D effects. In terms of performance of the Battlefield 3 in the 3D mode, you can enjoy playing the 3D version even on the lower speed system by turning down the graphical bells and by playing in the options menu. As already mentions that you will be lucky if you go in the war with brilliant configuration to play in 3D, but frankly speaking 3D can kill the system. If we even keep the technical Jargons aside, there are lots many issues while playing in 3D; although these issues are with the server and not a problem with the hardware. It is obvious that playing in 3D will give you incredible experience with ultra amazing graphics effects, debris, explosion and smoke rendered in much more dimensions. The audio will be of top notch and will surely bring thrill while playing. The best thing about playing Battlefield on 3D is that you will not feel any kind of headache even after the long sessions. You will find too many issues with the weaker single player option and also as a console venture, but still 3D PC experience can be rated as five star gaming environments. In short we can say that you will love the stunning added immersion, the NVIDIA 3D vision 2 tech and few 3D flaws, but you will hate the cost and few limitations. HTC Titan Smartphone Review - Powerful Windows Phone 7 Device !